After a month of inactivity due to relocating related activities I'm back on the air! As you may know I'm really an ork at heart so this is truly exiting times, what with the first new ork codex coming out in Mork knows how long - not to mention all the snazzy new models! Great to have you back! Hopefully relocating went smoothly enough. Awesome work on that Flash Git! 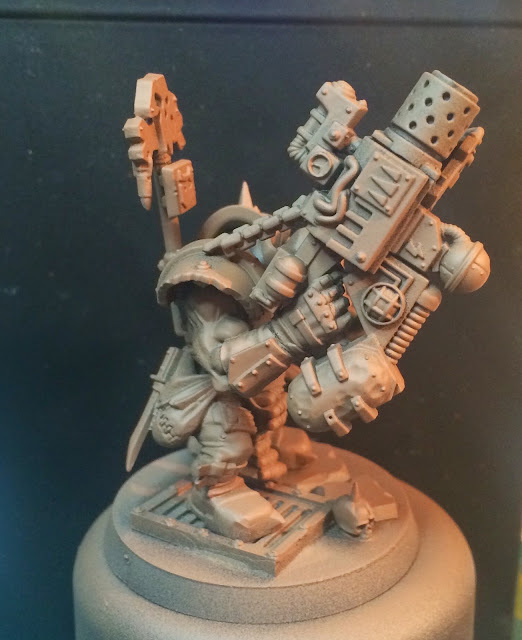 I am glad you decided to pare down his snazz-gun, the normal ones are way way too large (even the strongest of orks would struggle with such a weapon...) I also like your inclusion of the flintlock pistol on his waist! I can't wait to see where this one goes and what you do with future members of his squad. 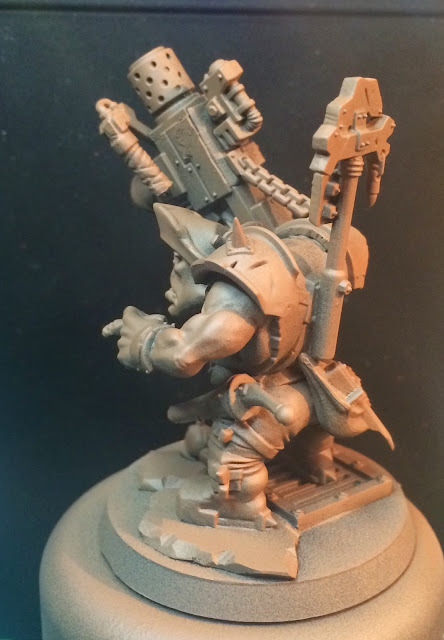 No doubting the new Orks fit the older range well, and I can't believe how well the metal Shokk Attack Gun converted over to plastic, but like Adam pointed out, those Snazz Guns are extremely large, even for an Ork gun. Its always nice to see stuff from you though Mr Vader, and I don't doubt another cracking paint job is in the offing. 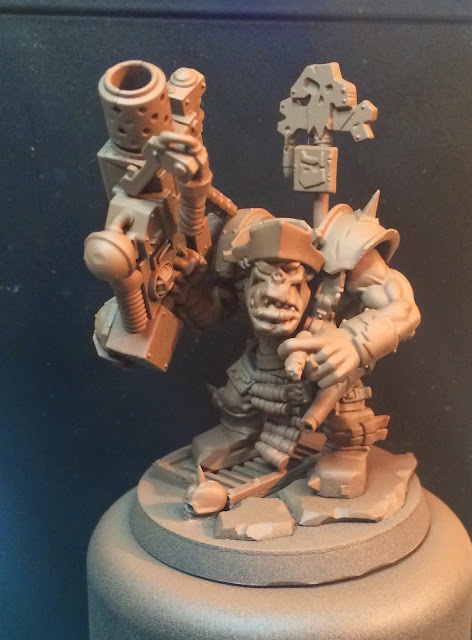 I quite like your shortened snazzgun, could you briefly run through the conversion process? To me it seems you've chopped off the barrel where the two rectangular gubbinz meet, but what about the handle? Is it meant to be a fold-away or deliberately at that angle? I've also just noticed you put the Gitfinder on the gun itself and not his left shoulder. Nice!